High resistance against abrasion and oxidation. Easy circulation even in tight spaces. Rubber discharge spout allows for height adjustment. Versatile and accurate feed delivery. Labor reduction and less workers’ weariness. Uniform and controlled feeding, allowing increased productivity, according to nutritionists’ recommendations. Box made of fire galvanized steel. Tandem axle for moving over in rough ground. Supports and load cells are sized for field operation. Electronic scale with GPS as a standard feature. Load cells with reinforced supports. Stainless steel bottom for greater abrasion resistance. 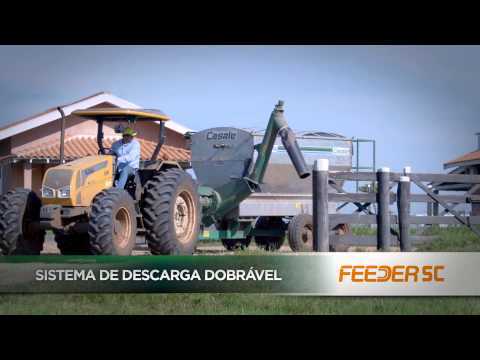 GeoPecControl system: feed management software. Retractable cover for protection during the rainy season. GPS and Ration Distribution Management System.